Sooo remember that time that I made a list of 25 things I would do while I’m 25? Well… about that. I didn’t do so well at knocking things off the list, which is unusual because usually I’m quite the taskmaster. I think I accomplished 6 things on the list, but I’m not even 100% sure about those. There were a lot that I started – painting, puzzles, books, notes, visiting places – but didn’t finish. I’m not even going to tell you which things I did accomplish, but you can guess if you like. 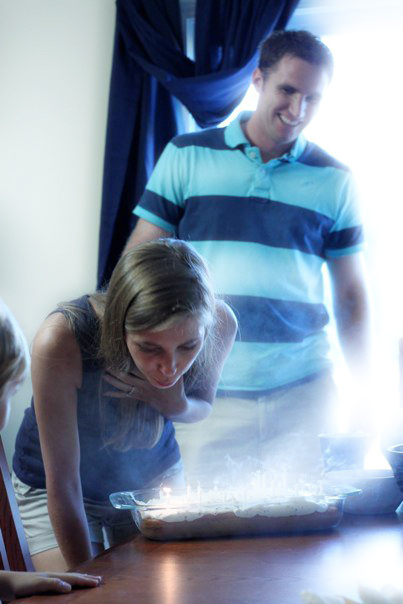 Even though I didn’t complete my 25 Things at 25 list, there are some incredible things that happened while I was 25. Let’s call it my *revised* 25 things at 25 list. So maybe not 25 things, but it’s definitely been an exciting year full of lots of challenges, adventures and growth. So here’s to 26! May it be as action-packed as 25! 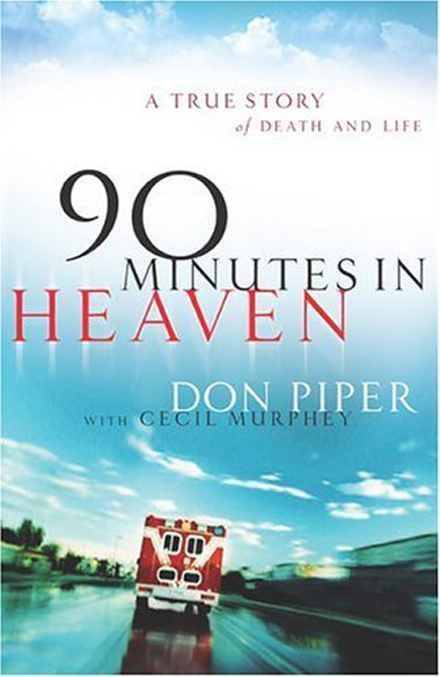 There’s something revealing about the time you spend away from your spouse. Soon after Casey and I were married, I traveled to Chicago for work. Alone in my hotel room at night, I found myself missing my husband. But even more, I was shockingly insecure about what he was doing while I was away. I was jealous. He was having way too much fun and wasn’t missing me. In fact, he told me he wasn’t missing me. 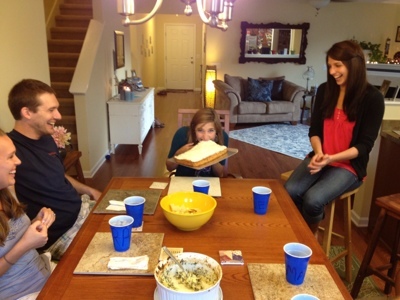 This was one of the lowest points in our first year of marriage. Me – devastated in Chicago. 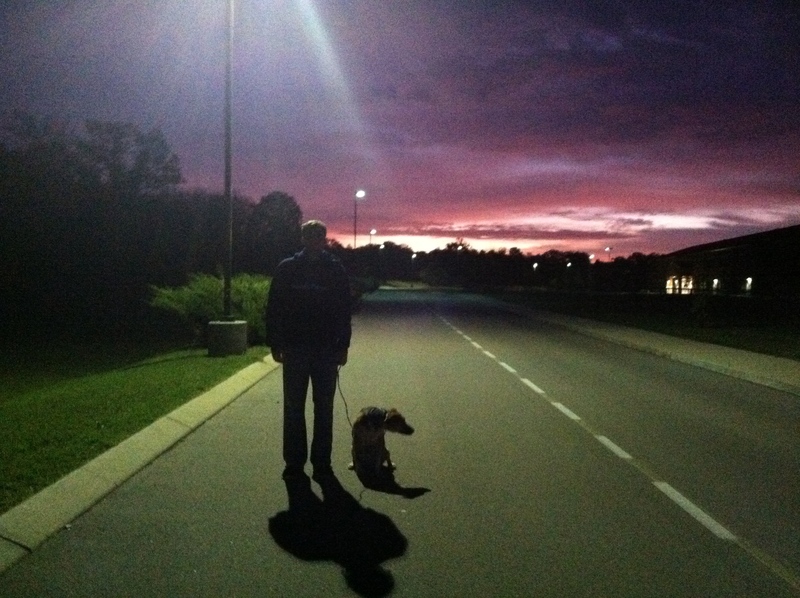 Casey – relishing his freedom in Nashville. I recently returned from a work conference in Minnesota. Casey and I were apart for 4 days. My schedule was packed while I was there so we barely had time to talk. And I missed him. Deeply. And he missed me, just as much, if not more. It was an incredible feeling. Some say absence makes the heart grow fonder, but I say absence merely reveals the fondness in our heart (or lack thereof). The realization of our hearts’ pull towards one another while I was away confirms the work that God has done to draw our hearts closer over the last year. We have come astonishingly far since the Chicago trip, and I’m thankful that God used my trip to Minnesota to reveal just how far we’ve come. P.S. Mark one more place off my 25 things list, Rochester, MN. 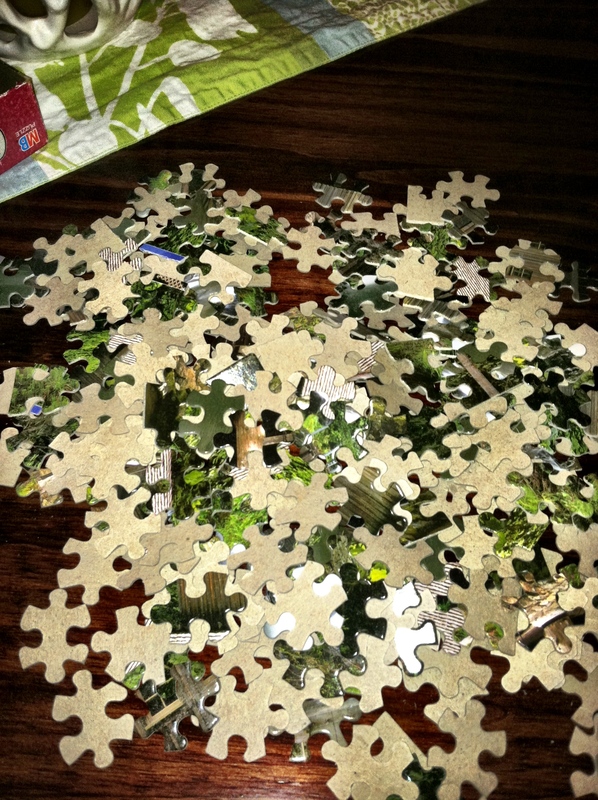 My 25 Things at 25 list requires me to complete 9 jigsaw puzzles. 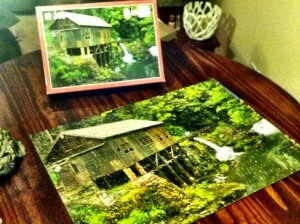 I LOVE completing jigsaw puzzles. 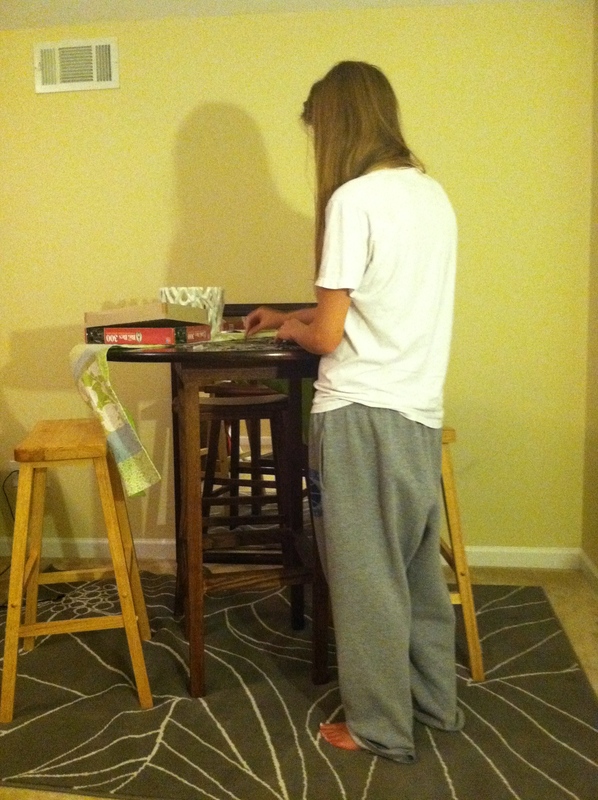 When Casey and I first started dating I had him work on my puzzles with me. I have since learned that he is much better at striking conversation while he watches me complete the puzzle. 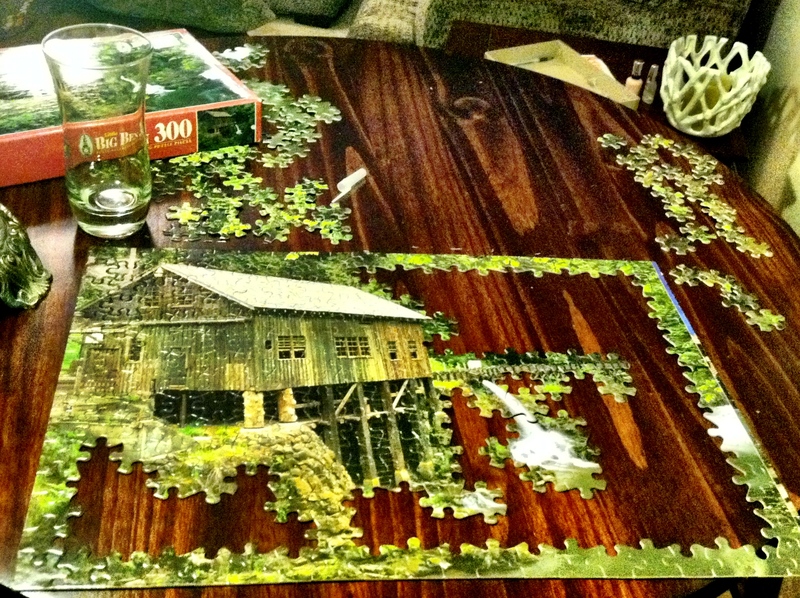 I don’t know why he doesn’t like jigsaw puzzles. Of course he is kind of color-blind. 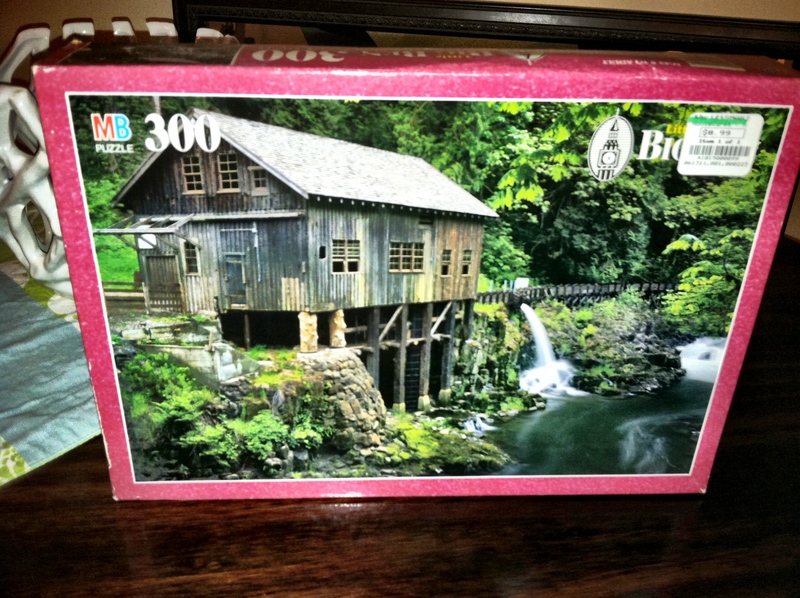 I started my first jigsaw puzzle since making my list and thought I might give you some advice on how to best complete a jigsaw puzzle, should you be a newbie. 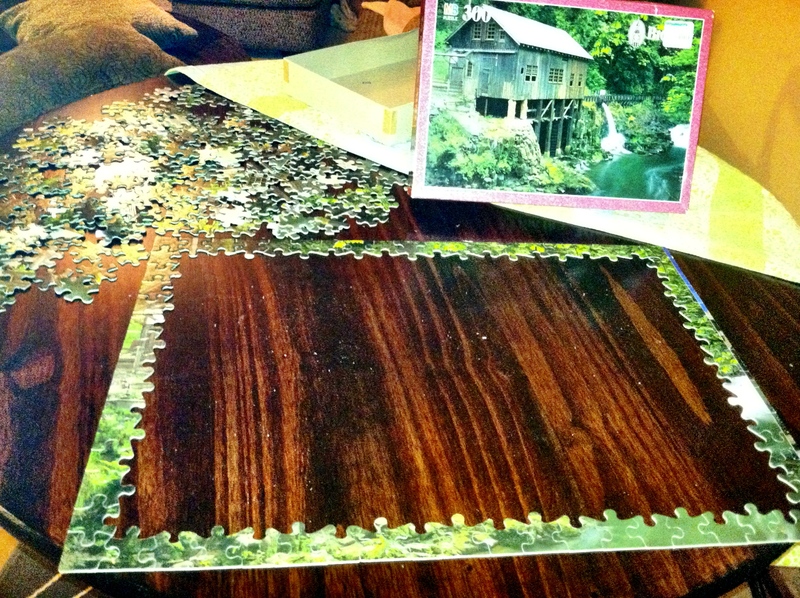 1) Buy your puzzle at a garage sale or thrift store, but never buy one that’s been opened. 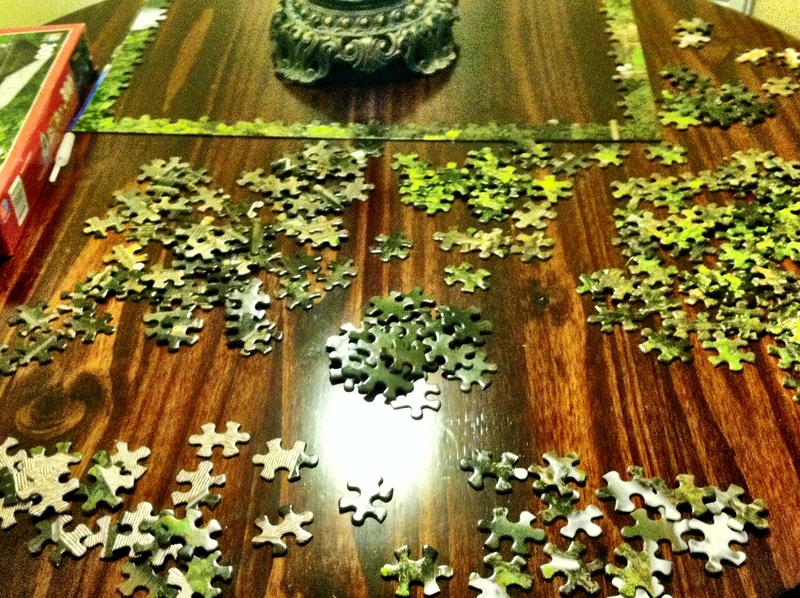 2) Spread puzzle pieces out on a flat surface (preferably one that’s a contrasting color) in a place with good light. 3.5) As you’re flipping pieces over, separate your edge pieces into a separate pile. 4) Complete the edge of the puzzle. 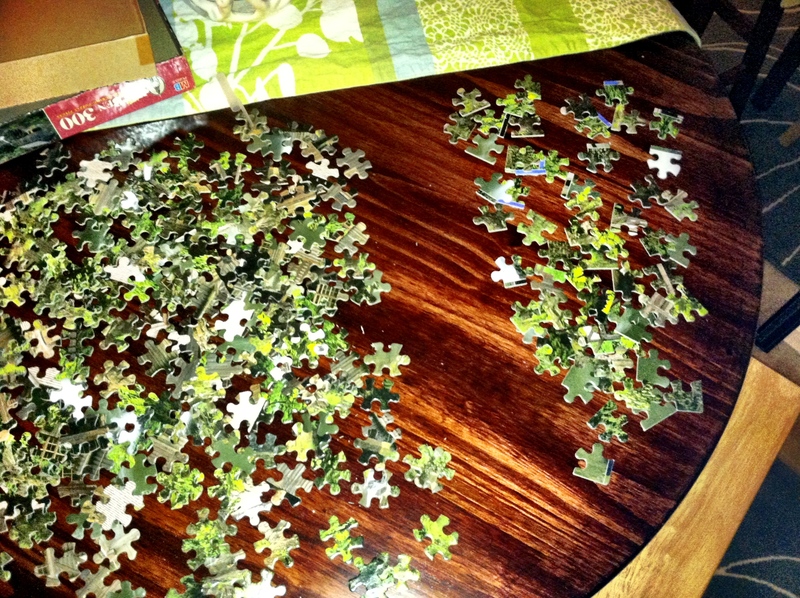 5) Separate remaining pieces into piles based on similar color/pattern. 6) Complete as many connections in one pile as you can before moving on the next. You know you're jealous of my comfy puzzle completing clothes. 7) Place into the center of the puzzle, using the picture as your guide. 8) Fill in the missing pieces. What do you do for fun to help relieve stress?